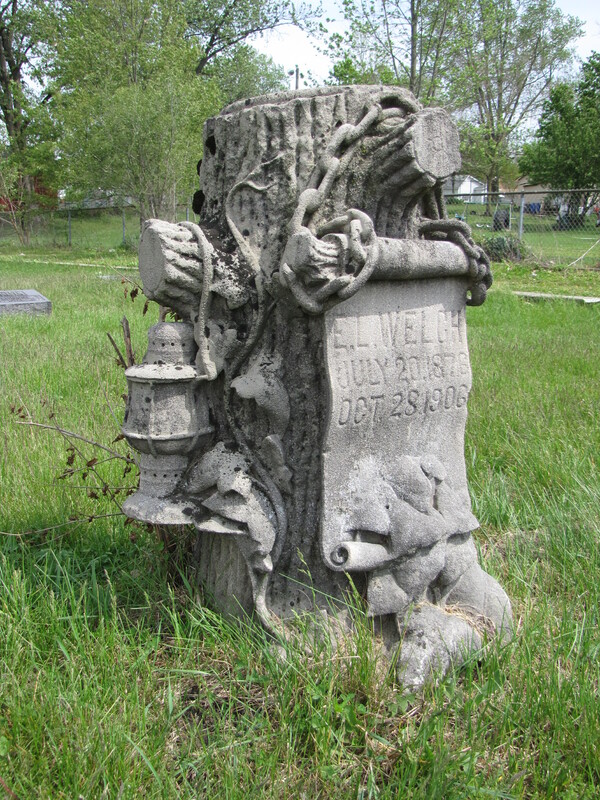 The tree-stump gravestones themselves were imbued with symbolism. The short tree stump usually marks the grave of a person who died young—a life that had been “cut” short. In this example, E.L. Welch is just 30 years. His scroll, which can symbolize the Law or the Word of God, displays his name and birth and death dates, is chained to the tree stump. Twining up the face of the gravestone is ivy, a symbol associated with immortality and fidelity. 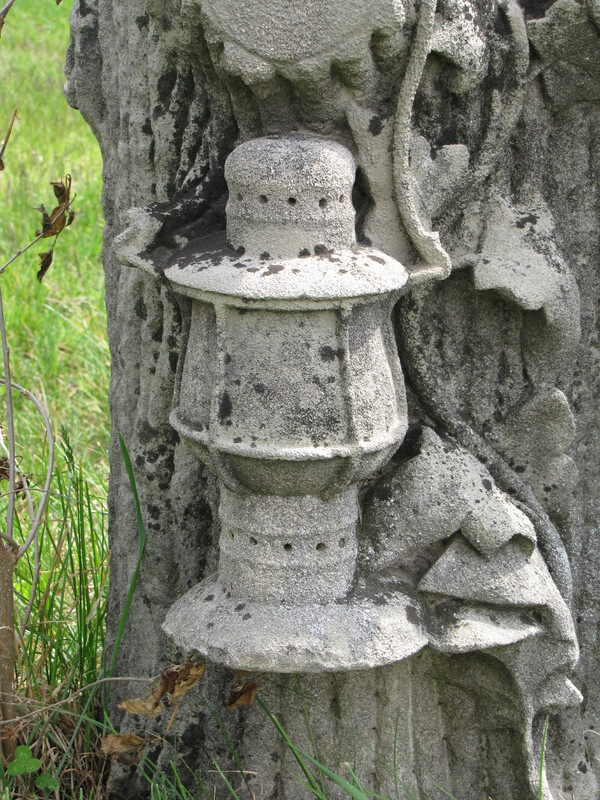 Hanging from a cut branch on the tree stump is a railroad lantern, which may indicate where he worked. Really liked this post. Full of interesting facts, research, and observations. a good look into the era.